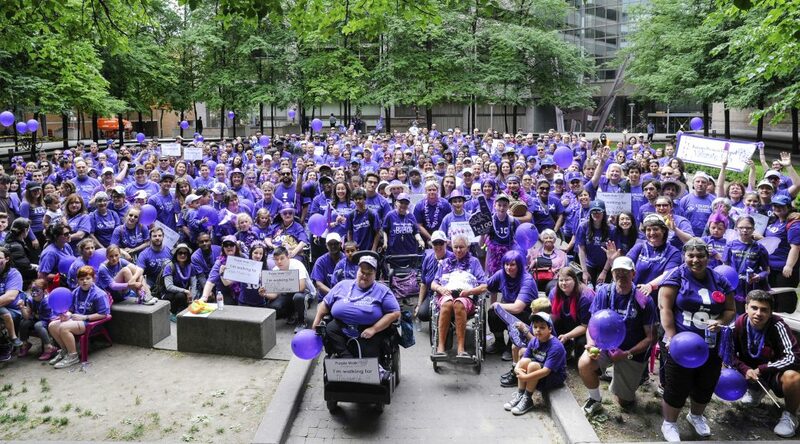 Are you ready for the 5th annual Purple Walk for Epilepsy Toronto? The 5th Annual Purple Walk for Epilepsy Toronto is returning to Trinity Square park on Saturday June 15th. Join over 800 purple powerful people as we walk 5km to raise funds and celebrate our community. Once you have signed up, get your family, friends, co-workers, church groups, social groups or even your physician to sign up too! Email walk@epilepsytoronto.org, or call 416. 964.9095 for more information. If you aren’t able to join us on the day, but would like to make a donation to the walk, we’ve made it easy for you to show your support that way too. Click HERE to make a donation.